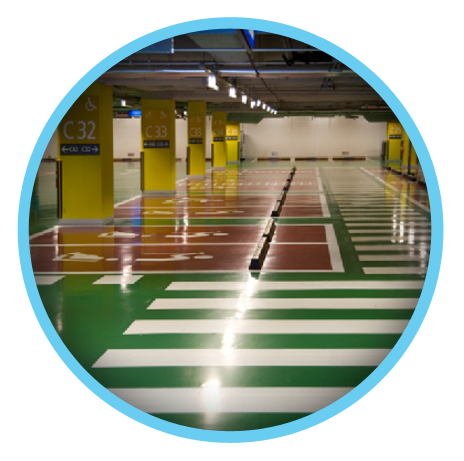 Epoxy flooring is the modern and stylish way of adding a great value to the premises. It not only renovates the appearance, but adds a new life to the floor. Jaichitra is a renowned name in the field of epoxy flooring in Chennai with a wide variety of colors, designs, and styles. Due to long life and tenacity, it is the preferred choice today. Perfect finish and seamless surface: It makes the surface incredibly smooth ad seamless. It is easy to clean and wipe. Hence, it is perfect for food industries, hotels, and restaurants. 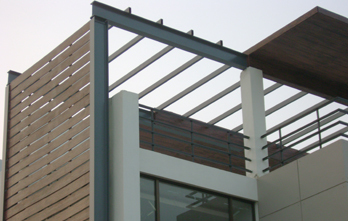 It looks quite attractive and gives the premises a stylish appearance. There are innumerable patterns, colors and décor are available in the market. One can pick up the best fit one. It is possible to create patterns using different shades of flooring. High resistance to chemicals and anti-skid properties: Epoxy flooring is ideal for industries, warehouses, and manufacturing plant because it is greatly resistant to chemicals. Even if it has a glossy finish, you get good skid resistance. Stylish look: People in Chennai are typically crazy for trendy and mod floorings. Jaichitra satisfies their needs with a mind-boggling collection of epoxy flooring in Chennai. Epoxy flooring is an easy to install, but a stylish alternative for household and industrial environment. However, there are some cases when people go for epoxy flooring but it comes out a nightmare. Experts say that it happens because people go for it without preparation. A few probable reasons for the fiasco are as follows. Epoxy flooring needs a thorough preparation before installation. The surface should be perfectly plain and smooth. Even if the ups and downs are minor and negligible, you won’t get satisfactory results. Make the surface clean using a short blast or grind. It is equally important to clean the surface thoroughly after making it plane. Dust and dirt should be removed before flooring. Humidity results in improper adhesion. Epoxy coating doesn’t bond with the surface if the surface is not fully dry. Make sure there are no taps dipping or no leakage in the water pipes. In case of water seepage from the ground, waterproofing should be done before Epoxy flooring. When the substrate is weaker than adhesive, the layer of Epoxy gets detached after some time. Tensile strength and adhesion of the substrate should be compatible with Epoxy. For example, wood is not an appropriate substance because their rate of expansion is different which causes cracking. Do not forget to apply a high-quality primer on the floor. There is a great contamination on old floors, factories, hotels and, restaurants, etc. Don’t expect great results if the contamination is not removed properly. Sometimes, mismatched resin and hardeners cause disappointing results. It is important that they are thoroughly mixed before application. Call Jaichitra today if you want a makeover of the flooring. You will get the perfect advice and top-quality epoxy flooring in Chennai.